Well, I am a day late on this post, but it was Superbowl Sunday yesterday! Day 3’s of the February Love Challenge is to post a main dish recipe for Valentine’s Day. 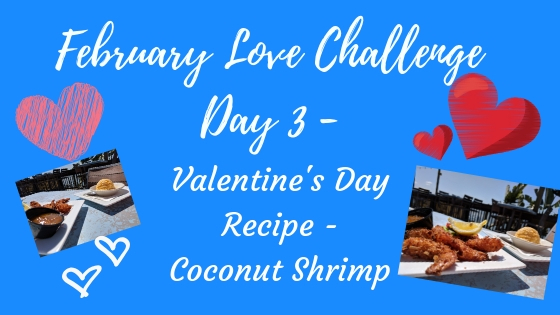 Well, since I am making Valentine’s Day a Movie and Dinner Date Night, I am going to post my famous Coconut Shrimp Recipe! It is almost as good as my Chicken Skewers! When I am making this recipe I always use fresh, not frozen shrimp. Make sure the shrimp are deveined completely, rinsed in cold water and dry before you add to flour. Just as a reference, a pound and a half of large shrimp should be about 8 shrimp per serving. I am sooooo looking forward to Valentine’s Day!  Click to Purchase these amazing tools! Rinse large shrimp in cold water and pat dry. Create your flour mixture by placing flour, salt, pepper, and garlic salt in a bowl and use a whisk to blend ingredients. 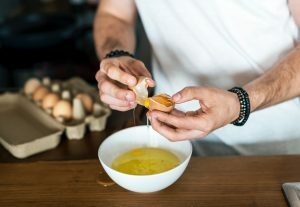 Create your egg mixture by placing eggs and milk in small bowl and gently use a whisk to blend the ingredients. To create the coconut mixture, add the bread crumbs and coconut in a small or medium bowl and then whisk the ingredients together. First, take one cleaned and dried shrimp and dredge in flour mixture making sure entire shrimp is covered in flour. This will help keep the batter on the shrimp when frying. Next, place the floured shrimp in the egg mixture and cover completely with egg mixture. Finally, roll shrimp in the coconut mixture and make sure the entire shrimp is covered in the coconut mixture. You might want to press the coconut mixture onto each shrimp to ensure full coverage. Place battered shrimp in a single layer on a plate or cookie sheet. Continue until all shrimp are coated in the coconut mixture. Place two inches of cooking oil in a large skillet. Heat oil to 350 degrees. Using kitchen tongs place a single layer of shrimp, carefully, in oil. Cook for 2-3 minutes or until golden brown on one side, flip over and cook for another 2 minutes or until golden brown on both sides. Place cooked shrimp on a drying rack. Continue until all shrimp are cooked. In a small bowl, mix the chili sauce with the marmalade and whisk together. Dip the hot, sweet, juicy coconut shrimp in the sweet and spicy sauce and ENJOY!!! Make sure your shrimp are cleaned and dried for the best flavor. I you are not eating right away, you can refrigerate for up to two days. When ready to reheat, place shrimp on a parchment lined cookie sheet in a single layer. Heat for about 8 minutes in a 350 degree, preheated oven. When adding shrimp to oil after a batch is done, make sure your oil is preheated to 350 degrees. 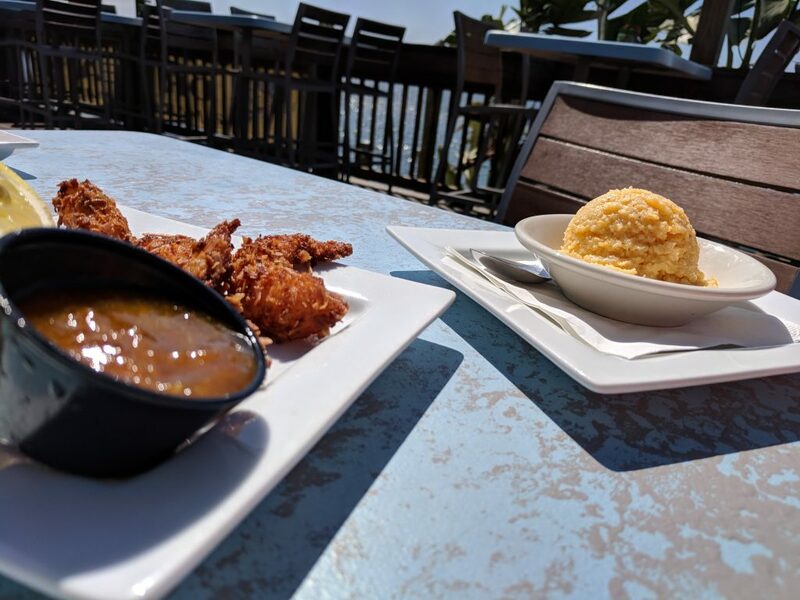 Note: I will add some amazing images of me creating the Coconut Shrimp and Dipping Sauce after making on Valentine’s Day! What is your favorite Valentine’s Recipe? Let me know if you try this and if you loved it! Oh my goodness! This looks amazing! I tweeted this and I will make sure to save it. 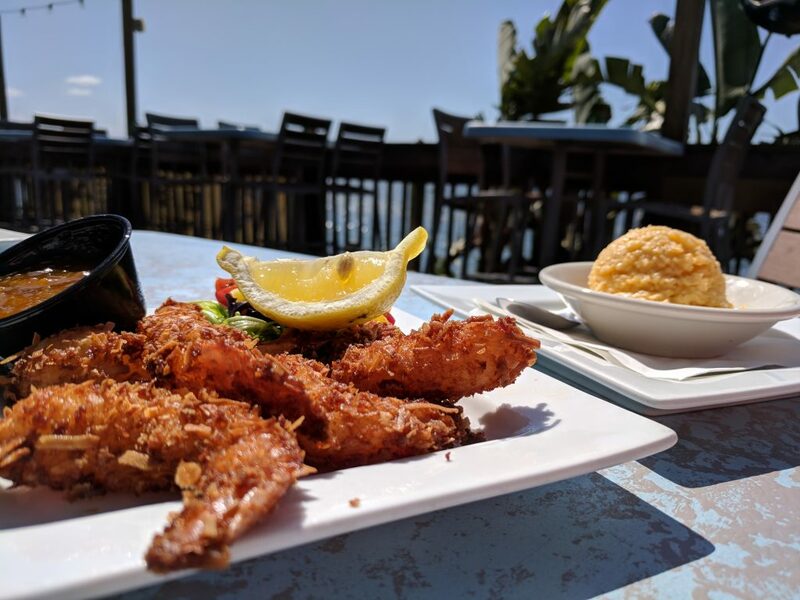 I love coconut shrimp. <3 Thanks for sharing!